British fashion knows how to do a great print, you just have to look at success stories of Jonathan Saunders, Erdem and Mary Katrantzou to see evidence of pattern dominating UK fashion design. 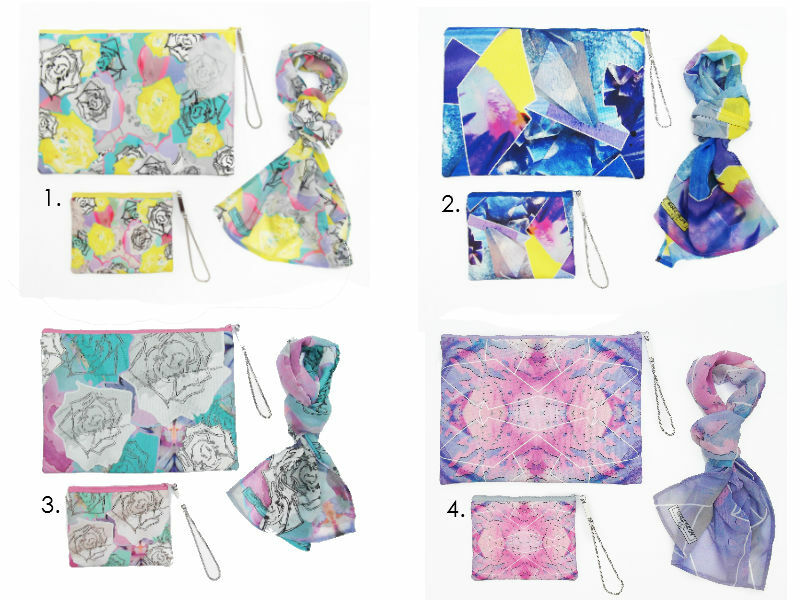 It's always great to discover a new fashion talent with an eye for an artful print, which is why I'm excited to share the work of Manchester-based accessories designer Rianna Phillips with you. I discovered Rianna after we started following each other on Twitter and I'm not over-exaggerating when I say I haven't been this excited by a clutch bag since I saw Christopher Kane's gel-filled neon numbers back in 2011 (which is saying something for a self-confessed accessories junkie). Rianna's unique digital prints fuse together delicate illustrations, photography-based graphics and geometric patterns, translated into seriously covetable portfolio clutches, pouches and silk-mix scarves in high-voltage, vibrant hues. Personally I'd style the neon-accented Varro collection (it's a tough call, but that my favourite) with a classic beige trench coat to make the colours and prints pop. Rianna also works with tie-dye, glossy metallics and jewel embellishment in her collections, visit her website to see more luscious designs. 1. Varro digital print collection, from £20.00. 2. Abstract Azurite collection, from £63.00. 3. Tamora collection, from £20.00. 4. Ophelia collection, from £63.00. great combos i love it...Hope you can view my site: http://theproverbs.net and FOLLOW. I am supporting your site. Hope to hear from you soon and joining. Thanks and God Bless! THX for visiting me :) Love this post and the prints of course, something to really keep a fashioneye on!